Kenilworth were asked to host Sri Lanka v Israel in the ICC Trophy (World Cup Qualifiers) in 1979. Due to eventual winners Sri Lanka’s political stance, they refused to play Israel giving them a bye into the next round. As a result, Kenilworth stepped in to play Israel in a warm up match in Sri Lanka’s place. 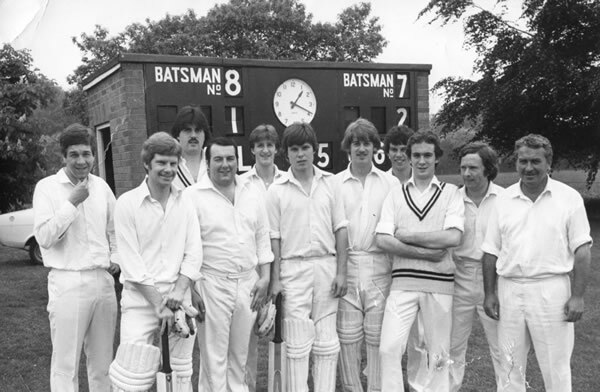 L – R: Steve Westley, Alan Pare, Nick Dodd, Geoff Edmunds, Tony Aston, Simon Went, Nick Andrew, Ian Hutchinson, Ian Woods, Paul Gibson, Ray Courts. The game was played under ICC rules of 90 overs each and according to a news report at the time was a low scoring but interesting match with Israel coming out victorious.